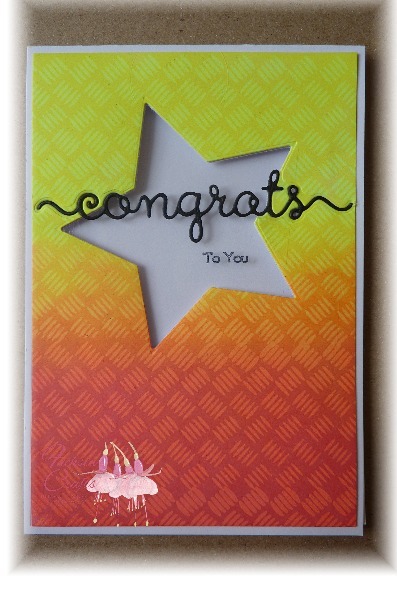 It takes 3 years of hard work to get to this level so I created this card to say “congratulations”. With each dan grading, an extra red tab is added to the belt so this was an easy design to think of. This will be my second entry into challenge #102 at Addicted to CAS. The layout is based on sketch number 329 over at Sketch Saturday where I’m entering this into this week’s challenge. My Goddaughter lives near St Albans so I printed out part of the map of the area to use as the background, and cut the L freehand before mounting it and then zigzag cutting it. 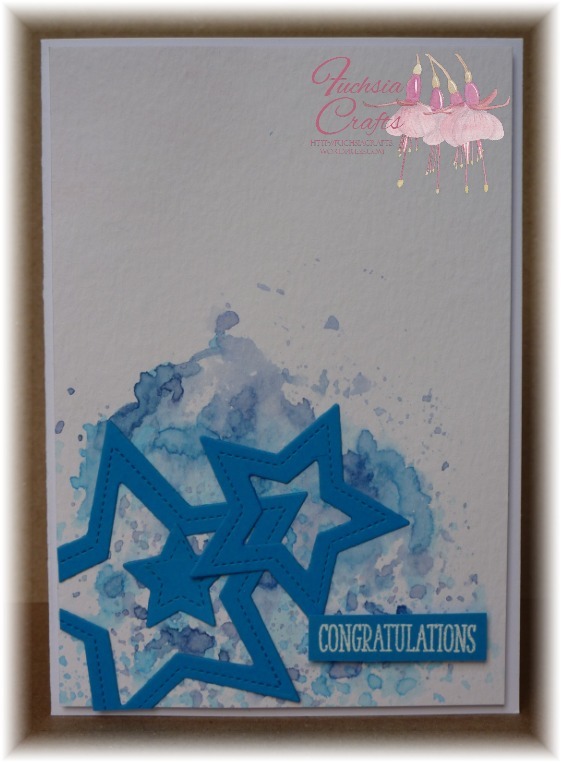 The greeting, by Clearly Besotted, was inked in Memento Rhubarb Stalk and I added a couple of black gems to finish. Our son took a couple of GCSEs a year early & passed with flying colours (A* in Maths & A in English Lit). 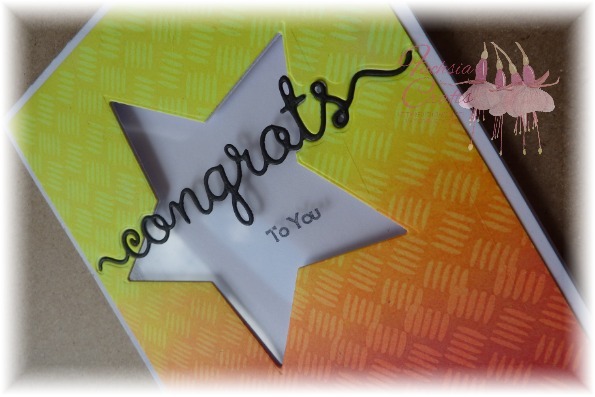 His congratulations card is a CASE of a card I saw a while back somewhere on the internet. As I have no idea where I saw it, I’m unable to credit the originator so my apologies if that’s you! 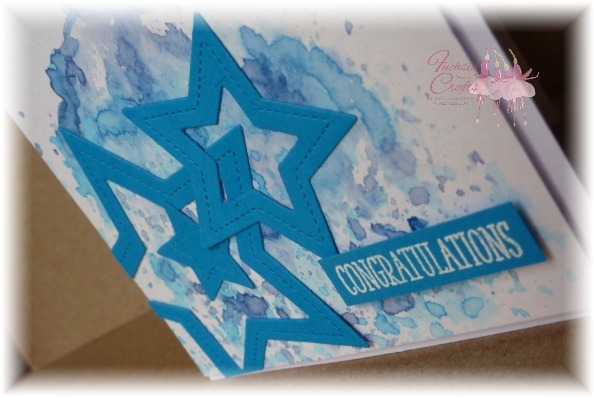 It’s an excellent way of using up patterned paper scraps to fill the shape I drew freehand. 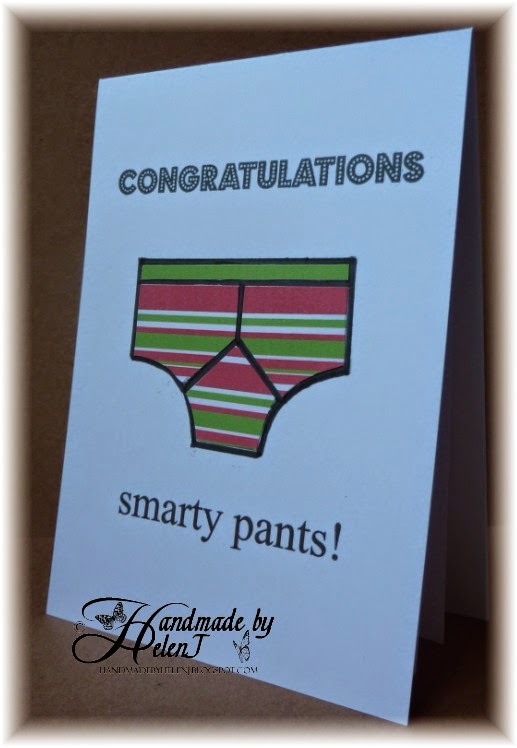 The Congratulations greeting is a Clearly Besotted stamp, and “smarty pants!” was computer generated. I’m going to enter this for Virginia’s View challenge number 7.